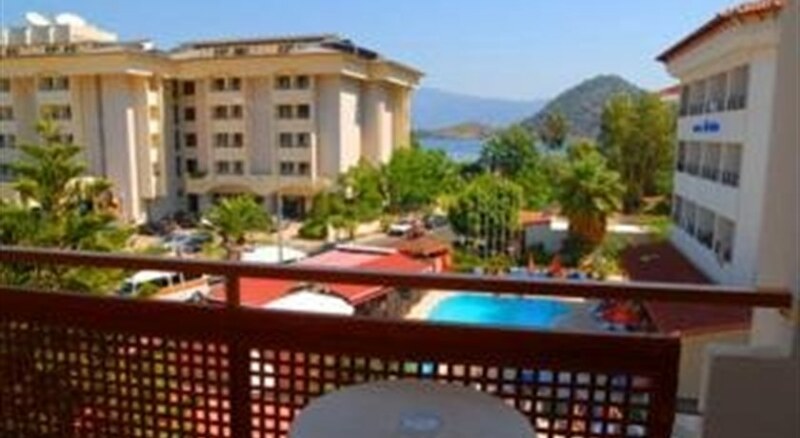 The Melita Apartments are located in the popular summer resort of Icmeler just a couple of minutes from the beach and all the attractions in this part of the coast of Turkey. Last renovated in 2009, this is a great value for money 3 Star hotel for couples and families with a total of 32 comfortable one-bedroom apartments set over 4 floors and equipped with all the amenities needed for a comfortable stay including lovely sea, Mountain or pool views. 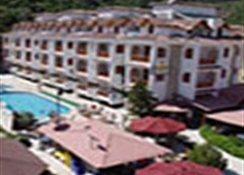 Dalaman International Airport is 100 km from the Melita Apartments. Local Tips: After dark there is a good selection of restaurants, bars and discos. A Wednesday Turkish market is close by and within walking distance so brush up on your bargaining skills! Food, drink and entertainment: Self catering apartments. Melita Apartments has an a la carte restaurant, an outdoor restaurant, and a friendly pool bar, snack bar, and garden TV hall. Many restaurants and bars are just a short walk down the road. 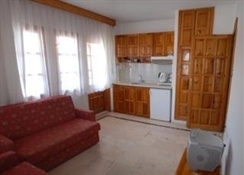 Sports, games and activities: The apartments have a swimming pool, sun beds and umbrellas, Billiards, children's pool. Additional: 24 hour reception, Internet access, safe box at reception, banquet facilities for up to 100 guests. Rates Valid for UK Markets. The Melita Apartments is an individual building a total of 32 one bedroom apartments with twin beds and a sofa bed, a private bathroom (shower, WC), living room with kitchenette (cooker, fridge, kettle), Internet access, TV, telephone, and balcony with land views. Rooms can accommodate up to 4 people and have twin beds in the bedroom and one or two pull out sofa beds. Air conditioning and a safety deposit box are available in the bedrooms at an extra charge, payable locally. Free baby cot is available on request. Eight rooms are suitable for disabled guests. This place is in such a lovely spot,ideally situated for the beach etc,the guys that run the place couldn’t do enough for you,however the actual apartments were in a terrible state old and not very clean!